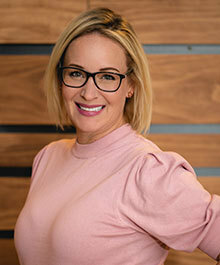 As a full-time Real Estate Agent, Kristen highly values her client relationships and aims to provide a smooth real estate transaction for them by providing knowledge, information, and keeping lines of communication open. She understands that handling the purchase or sale of her client’s largest financial asset is extremely important and will treat it as such! If you work with Kristen, she promises you hard work, honesty, and integrity! Give her a call today at 414-614-5140 whether you need assistance with a move of your own or for a loved one! She'd love to help! !